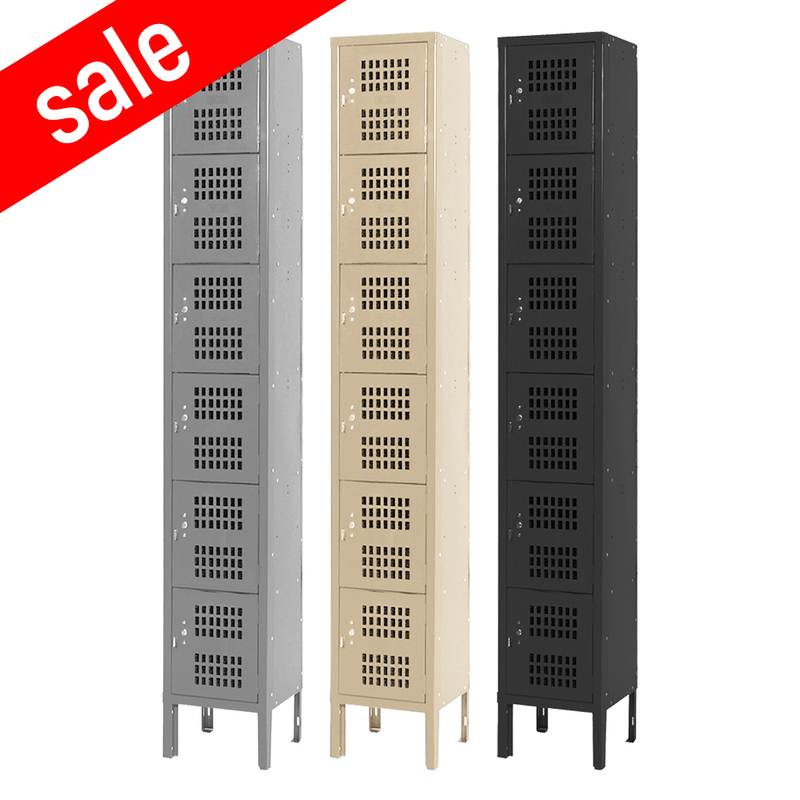 These 16 Person Lockers are available on www.buyusedlockers.com where they have a huge selection to choose from if we need additional supplies. 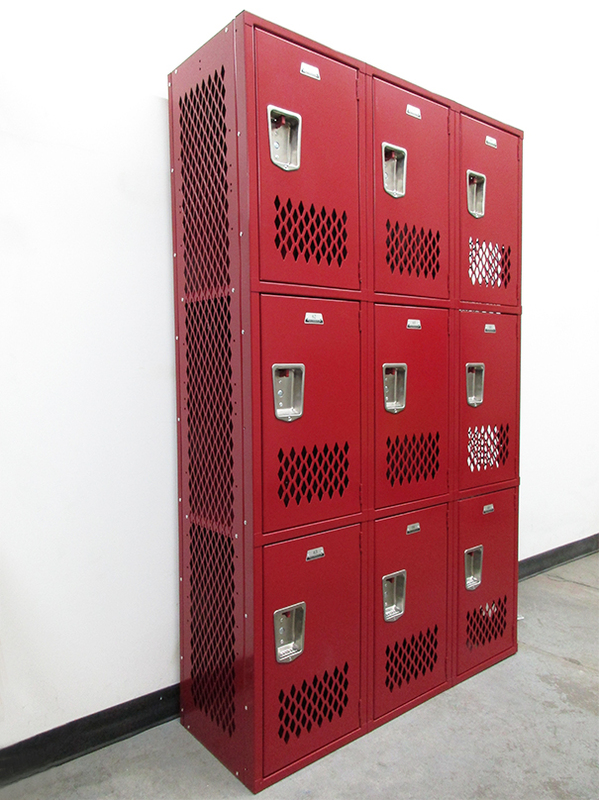 Our 16 person locker units accommodate 16 users in only 69" of floor space and are compact and efficient. We have these IN STOCK, ready for shipment. The spacious comparments (12” x 18” x 12”) are perfect for storing folded clothes, purses, bags, books or other personal valuables and the 45" coat rod accommodates over 16 coats, uniforms or jackets. Louvered doors provide ventilation and have 16 gauge reinforced welded channel frames, plus the standard 16 person locker unit comes with 6” legs (legs can be removed for a nominal charge). These are popular for employees and can be used in schools, office environments, gyms, or anywhere you need to provide secure storage and hanging space in a limited amount of space. We offer these in quick ship in gray or beige. They usually ship within 1 to 3 business days unassembled or within 3 to 5 business days in three partially assembled pieces. Also available in up to 30 colors with longer lead times. 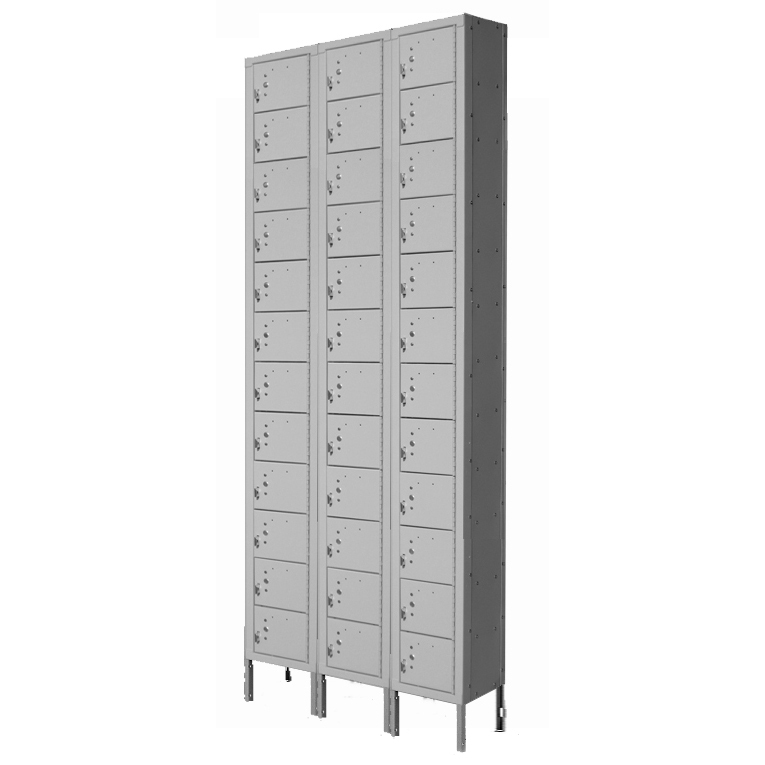 Small lockers also available in other configurations. If you don't find what you need, contact us. We have the largest supply in the nation; if we don't have what you need, we'll either find it or make it!